CLEARANCE PRICING! 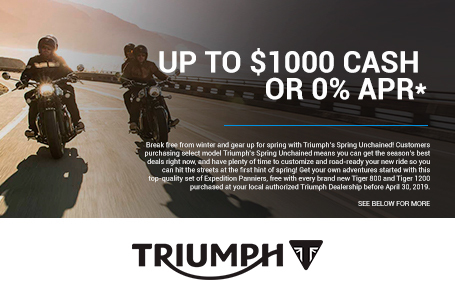 ****W'ell also give you an additional 10% off any accessories you buy at time of purchase (in stock or ordered) to help outfit the bike! 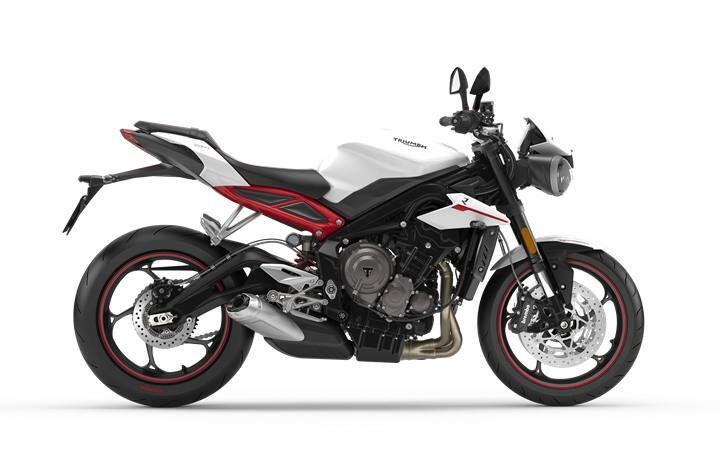 Price quoted includes Triumph's current rebate program with a $500 rebate to lower price. Customer can also choose 1.99% APR for 48 months, 3.99% for 60 months, or 6.99% for 72 months. APR is NOT available in conjunction with Rebate. Customer must choose one or the other and must qualify for APR. Ask salesperson or see website for more details. Does not include documentation, freight, or taxes and state issued fees.